Islands of Adventure was the second theme park to open at Universal Orlando Resort. The park opened on May 28, 1999, along with City Walk. The park’s theme is a journey of exploration across themed islands. 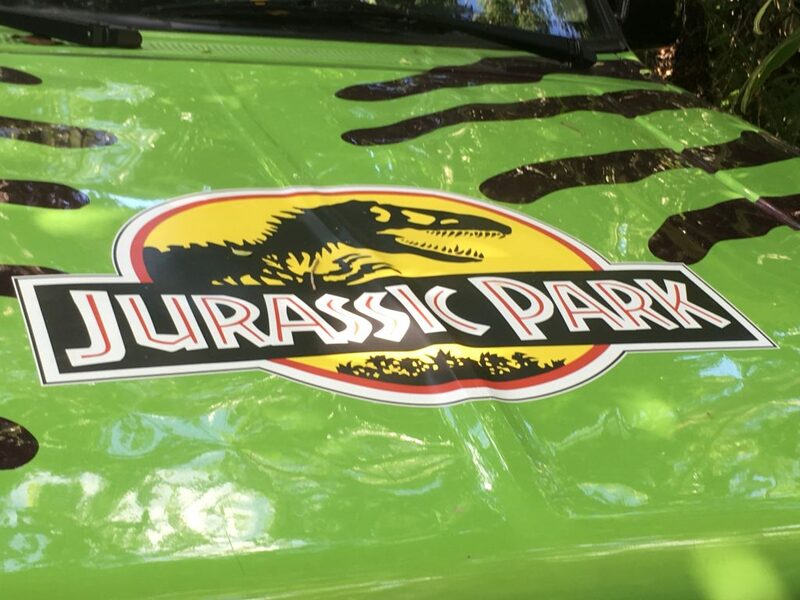 The park is home to Marvel, Jurassic Park, Dr Seuss & more. 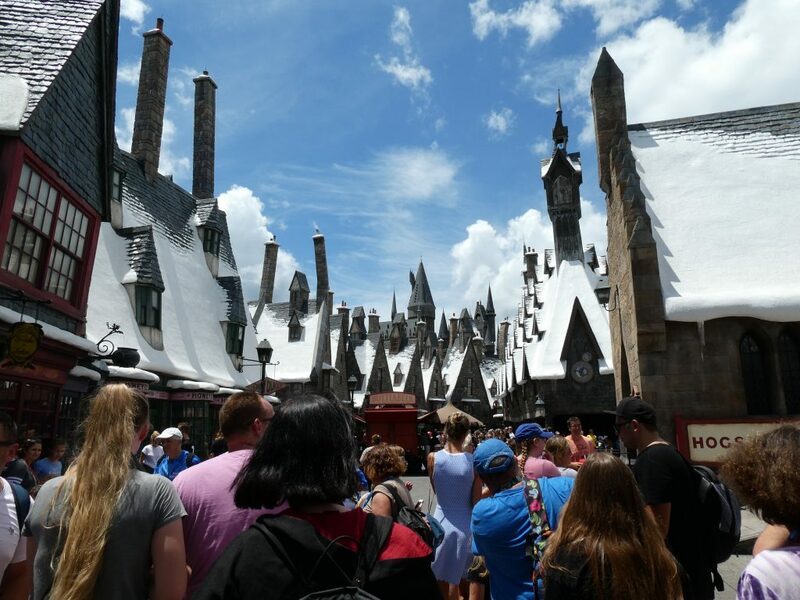 In 2010 the first part of the Wizarding World of Harry Potter opened at Islands of Adventure. The park is home to some of the biggest thrill rides in Orlando. 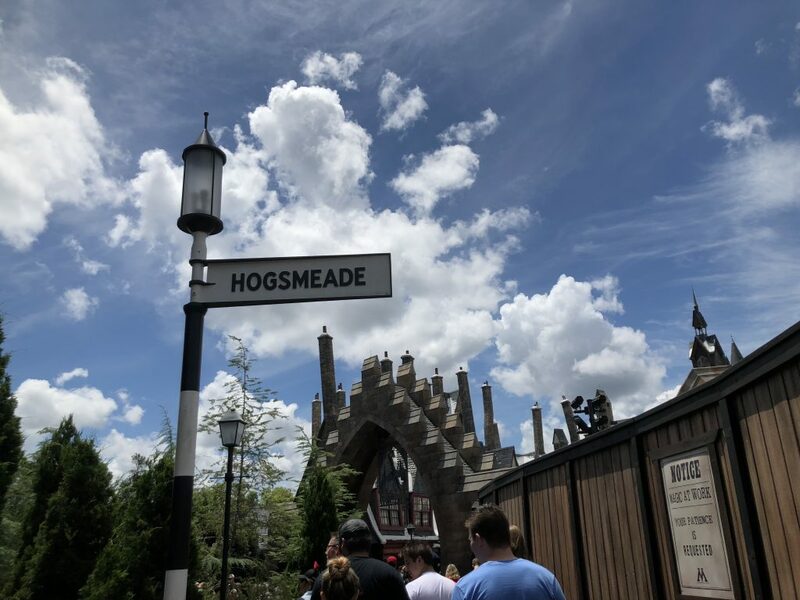 Our Guide to Islands of Adventure is part of our Guide to Universal Orlando Resort for Beginners. Our guide includes tips, tricks & hints to have a perfect time at Islands of Adventure. Are you looking for specific information? Our handy jumps will take you straight to key information in our Guide to Islands of Adventure for Beginners. Islands of Adventure the Basics. Are you looking for information on tickets, Express Pass, Height Restrictions or just what the park is like? 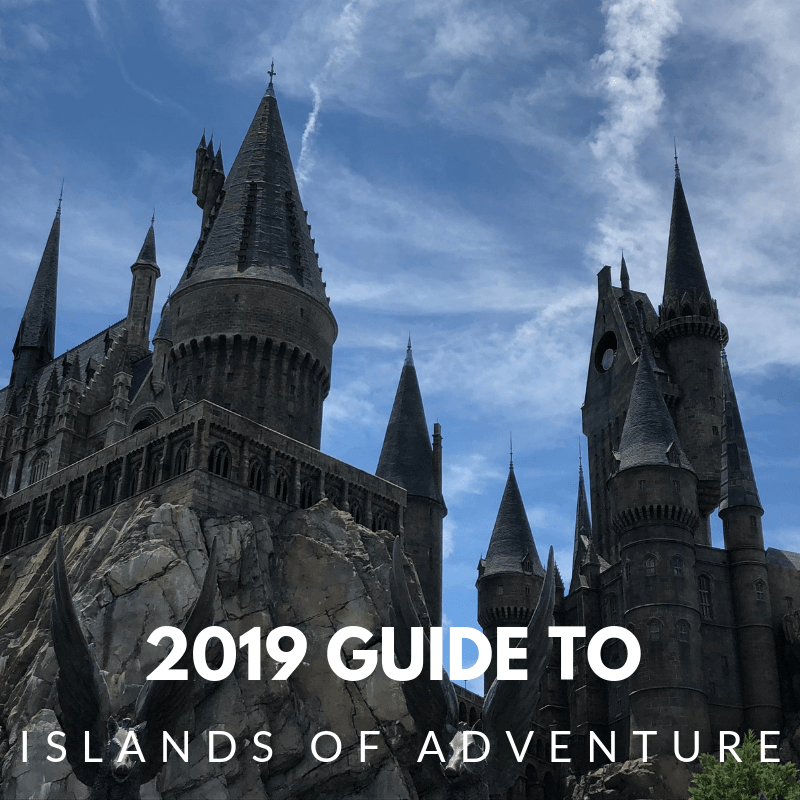 New in 2019 at Islands of Adventure everything new in 2019 including the new Hagrid Coaster! The Islands to Explore details on all the Islands at Islands of Adventure. 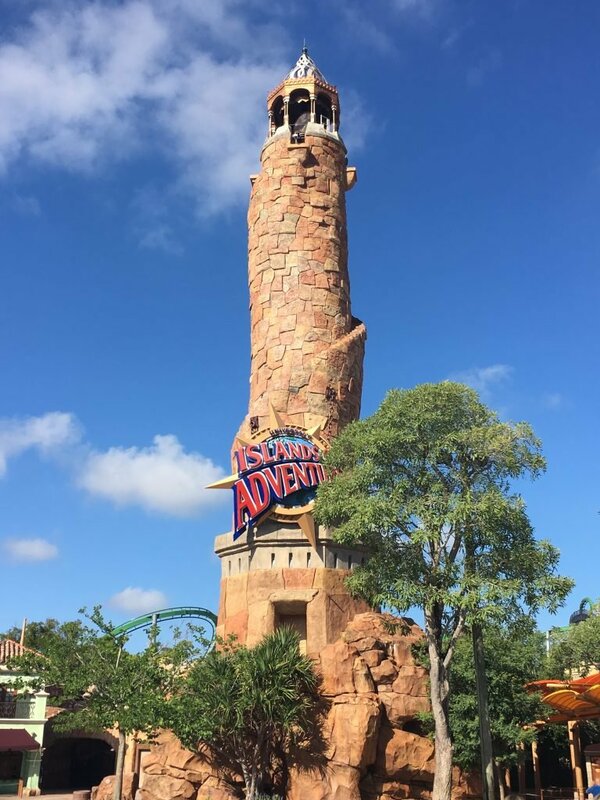 Islands of Adventure opened on May 28, 1999, following 3 years of construction. The park covers an area of 101 acres. The park’s icon is The Pharos Lighthouse whic is located in Port of Entry. In 2017 the park hosted almost 10 million guests making it the 14th most visited theme park in the world. 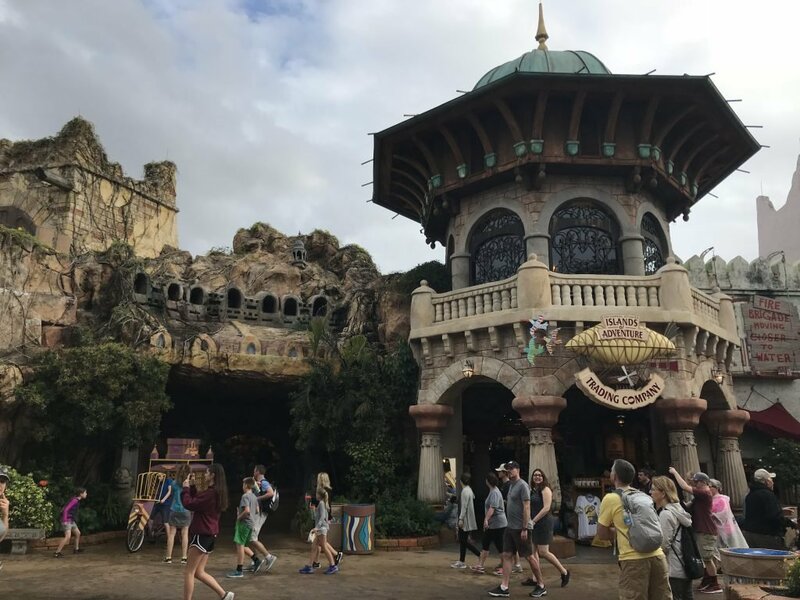 The number of guests visiting Islands of Adventure has increased in recent years and is now double the total attendance for 2009. 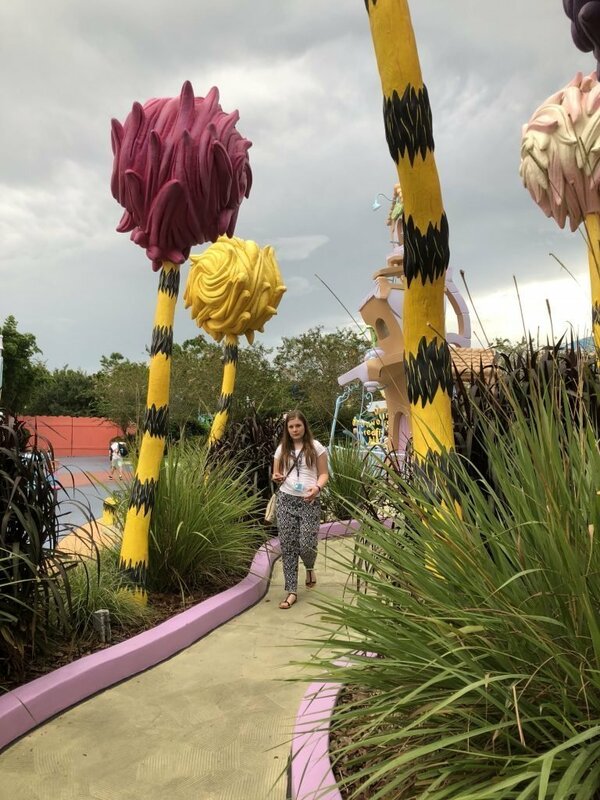 What is Islands of Adventure like? Islands of Adventure is a beautiful theme park with some outstanding theming. Each Island is themed superbly and you do feel you are in Jurassic Park or Hogsmeade. The transition from one island to another is done almost seamlessly. The park contains many big E-Ticket attractions and will appeal most to thrill seekers. Families with young children will find attractions at Walt Disney World more suitable. 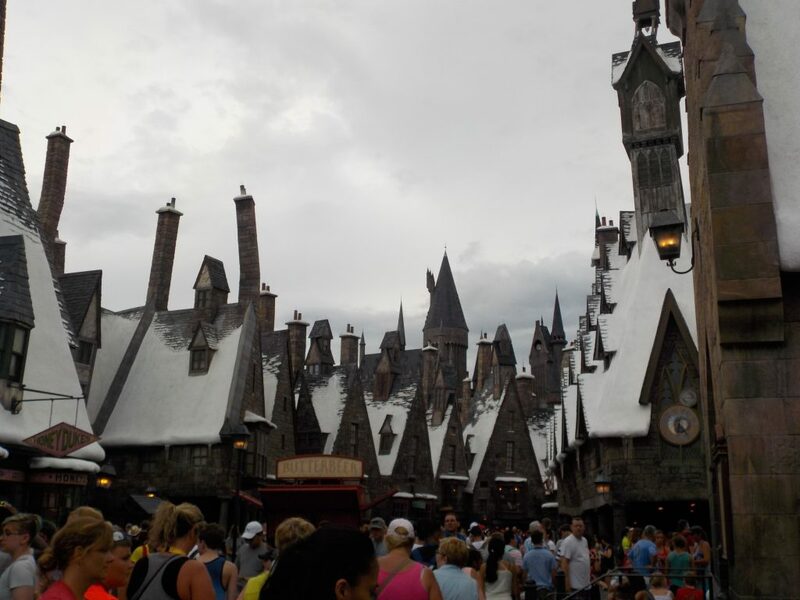 However, there is enough for people of all ages to enjoy a day at Islands of Adventure. Islands of Adventure will usually take 1-2 days to experience. However; the park is becoming more popular, and in busy periods you will struggle to complete in 1 day. Tickets for Universal Orlando are always cheaper to purchase in advance. The only exception being guests who are visiting with Annual Pass Holders. When purchasing tickets you should ensure you obtain hard tickets rather than vouchers. Vouchers have to be exchanged at ticket booths and these usually have a very long wait. 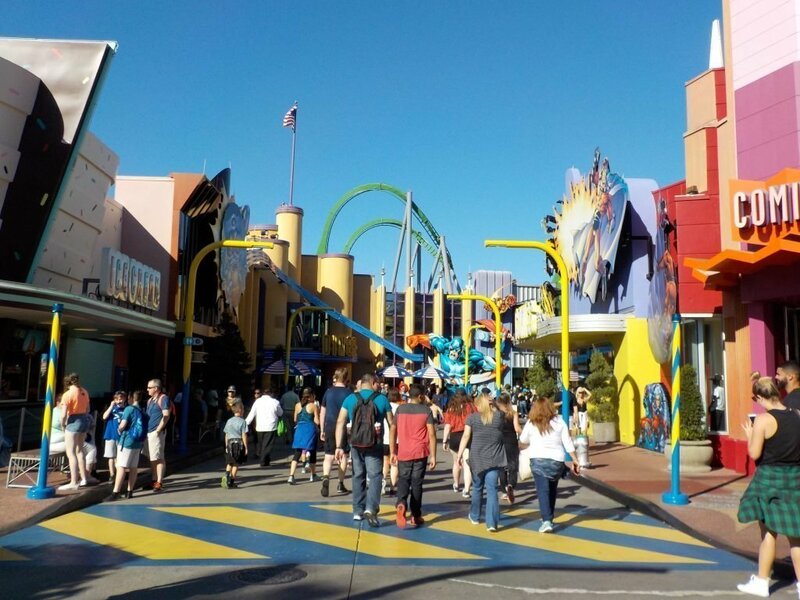 Islands of Adventure like many theme parks has a system for priority boarding of attractions. At Universal Orlando, the system is called Express Pass, and unlike Fastpass+ at Walt Disney World it is not free. Guests who buy Express Pass present their pass at participating attractions to bypass the regular lines. They join a shorter Express pass line and have reduced wait to ride the attraction. Express Pass is not cheap and the decision on whether to buy can be difficult. At quieter times of the year, it is usually not essential, but during peak periods there are definite benefits. There is a selection of different Express Pass options and guests staying at the top Universal Resorts receive Express Pass as an added benefit. You can learn more in our Guide to Universal Express Pass. 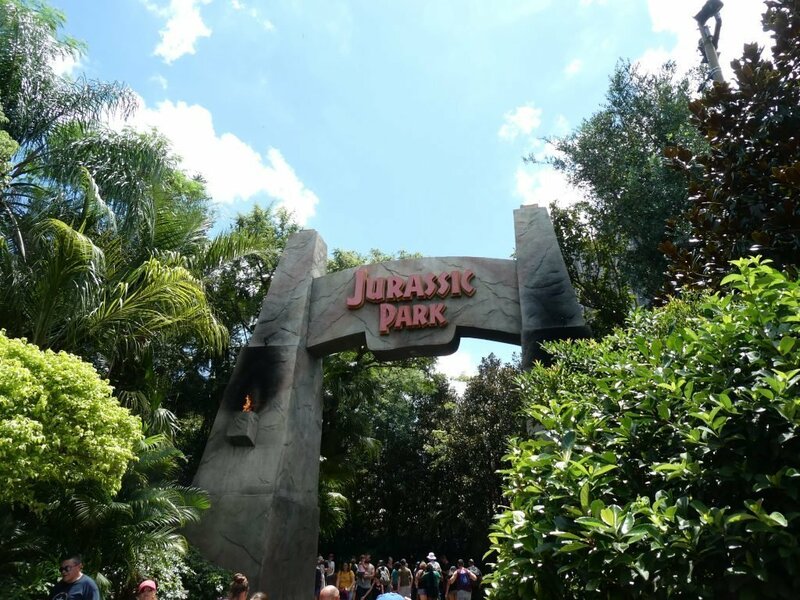 Park WiFi has improved in recent years and is available throughout Islands of Adventure. The Universal Orlando Resort App is available at both the Apple App Store & The Google Play Store. You should download the App before you visit. The App allows you to store tickets, access wait times, show times and more. There are handy interactive maps and the app will even save where your car is parked. You can now preorder food from select restaurants using the Universal Orlando Resort App. Skull Island: Reign of Kong Must be at least 36″ (91cm). Children between 36″–48″ (91cm-122cm) must be accompanied by a supervising companion. 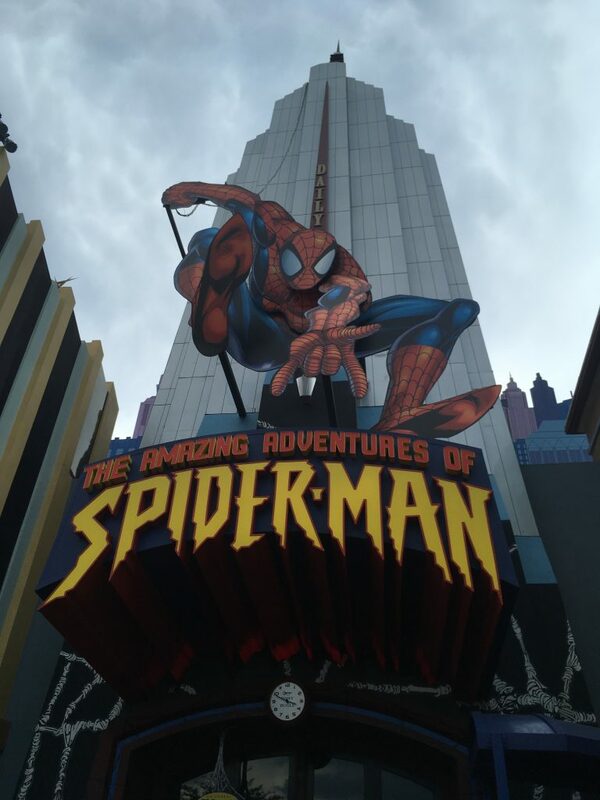 The Amazing Adventures of Spider-Man Must be at least 40″ (102cm). Children between 40″–48″ (102cm-122cm) must be accompanied by a supervising companion. 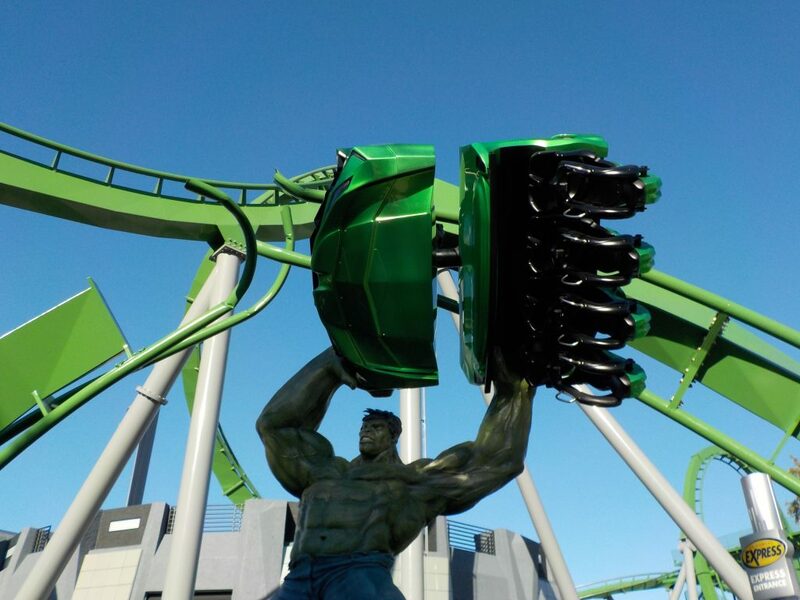 The Incredible Hulk Coaster Must be at least 54″ (137cm). Doctor Doom’s Fearfall Must be at least 52″ (132cm). Dudley Do-Right’s Ripsaw Falls Must be at least 44″ (112cm). Children between 44″–48″ (112cm-122cm) must be accompanied by a supervising companion. Popeye & Bluto’s Bilge-Rat Barges Must be at least 42″ (107cm). Children between 42″–48″ (107cm-122cm) must be accompanied by a supervising companion. 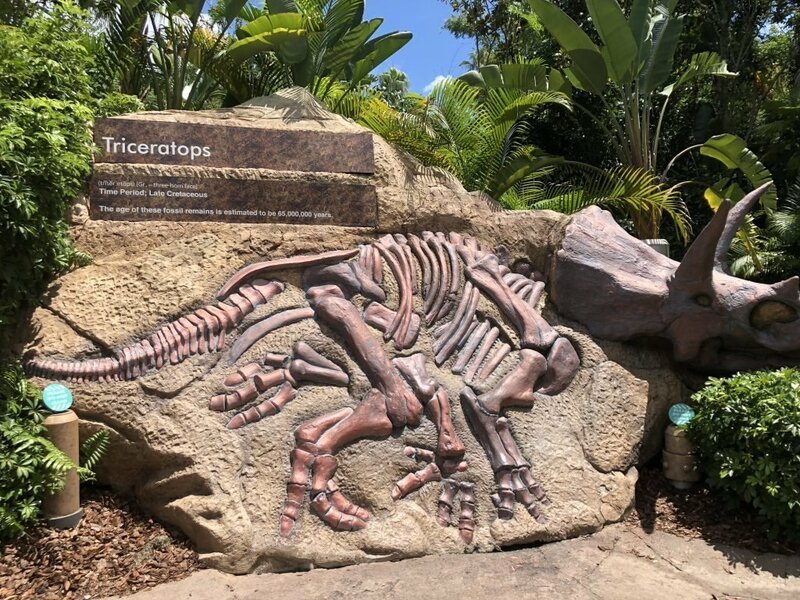 Jurassic Park River Adventure Must be at least 42″ (107cm). Children between 42″–48″ (107cm-122cm) must be accompanied by a supervising companion. Pteranodon Flyers is designed for children 36″–56″ (91cm-142cm) tall. A child meeting this requirement must accompany guests over 56″ (142cm) tall. Children between 36″–48″ (91cm-122cm) must be accompanied by a supervising companion. Flight of the Hippogriff Must be at least 36″ (91cm). Children between 36″–48″ (91cm-122cm) must be accompanied by a supervising companion. 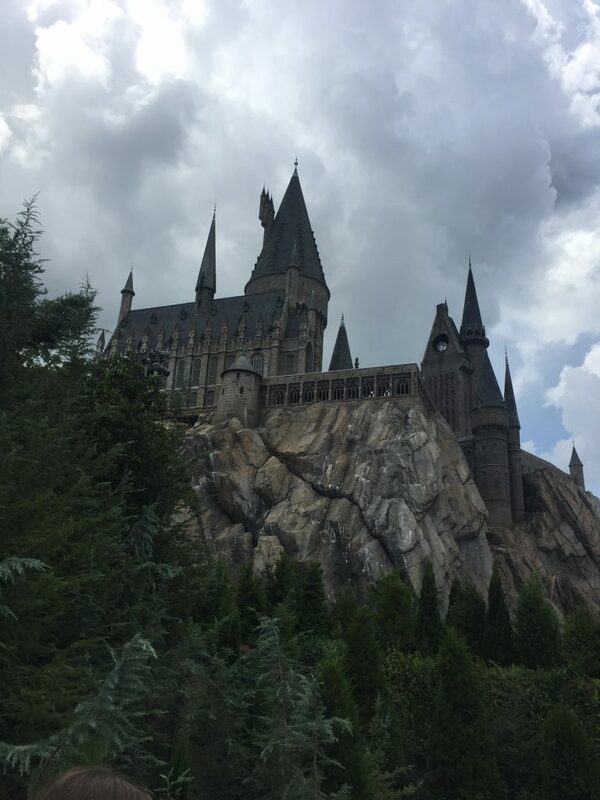 Harry Potter and the Forbidden Journey Must be 48″ (122cm). Cat in the Hat Must be at least 36″ (91cm). Children between 36″–48″ (91cm-122cm) must be accompanied by a supervising companion. 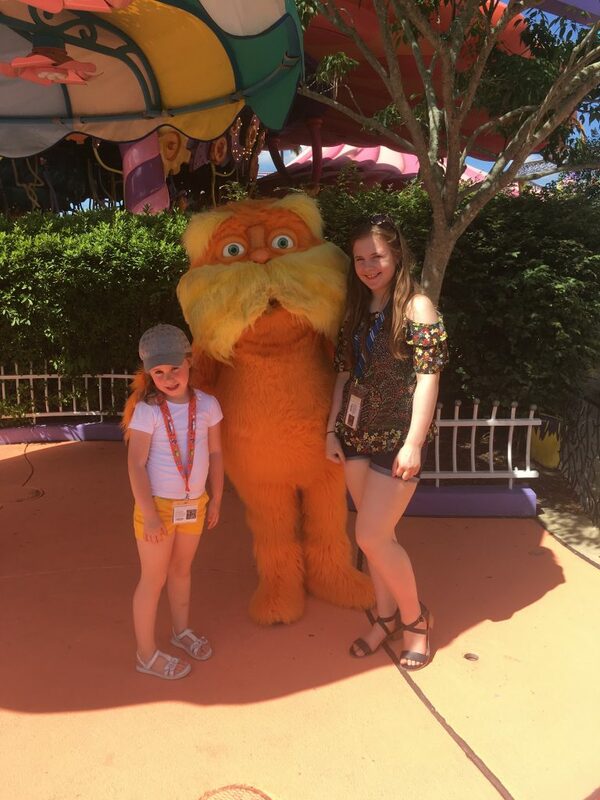 The High in the Sky Seuss Trolley Train Ride!Must be at least 36″ (91cm). Children between 36″–48″ (91cm-122cm) must be accompanied by a supervising companion. If the kids are not big enough to ride it does not mean you have to miss out. All rides at Islands of Adventure have a Child Swap facility. 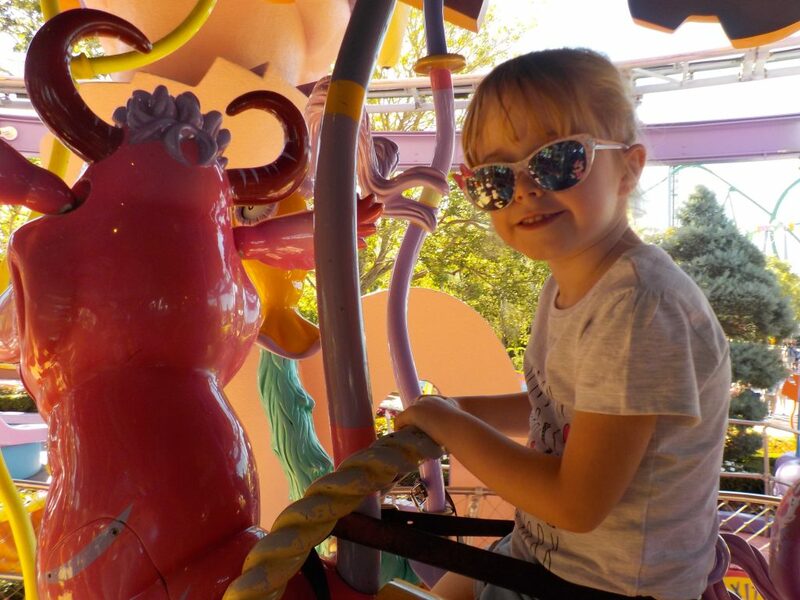 Child Swap allows the rest of a family to ride an attraction when a child is either too small or young to experience the ride. Dark Arts at Hogwarts Castle is a new light show opening in 2019. The opening date has not yet been announced but is likely to be before the summer season. Death Eaters, Voldemort, dementors & mountain trolls are all likely to be featured. 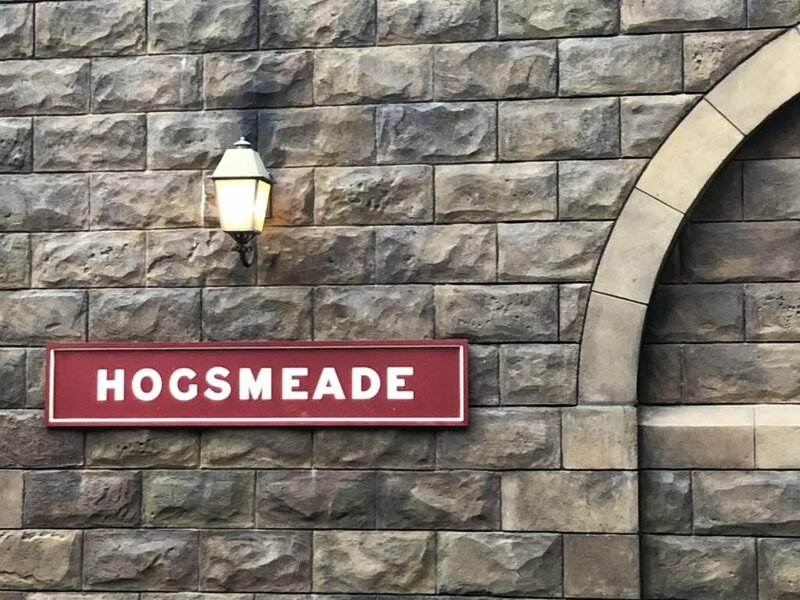 The big new attraction for 2019 is the opening of Hagrid’s Magical Creatures Motorbike Adventure at Islands of Adventure. The ride looks sensational and is bound to attract huge crowds. The attraction has been confirmed to be opening on June 13, 2019. There are 8 islands to explore at Islands of Adventure. All guests on arrival enter into Port of Entry. Port of Entry is the entrance to the park and your first island. The area has a magical feel and is home to a selection of shops, guest service and hire facilities. The park’s icon Pharos Lighthouse is within Port of Entry. The lighthouse is inspired by one of the Seven Wonders of the World, the Pharos Lighthouse of Alexandria. Marvel Super Hero Island was part of the original attractions in the park. The agreement to sell theme park rights to Universal was made when Marvel Entertainment Group was an independent company. Disney bought Marvel in 2009, but theme park rights remain in perpetuity with Universal in parts of the United States & Japan. The actual contract is complex including what characters are allowed where, but the following link has further details. The Amazing Adventures of Spider-Man a sensational 3D simulator & my personal favorite. This ride sets the bar all other 3D attractions try to beat. Had a refresh in 2012 but is still essentially the same ride. Hard to believe it will be 20 years old in 2019. The Incredible Hulk Coaster perhaps one of the greatest coasters ever made? This coaster is ferocious and isn’t for the faint-hearted. I have started to give this coaster a miss after pulling my neck on it a few years back. Doctor Doom Freefall big drops and some fantastic views. There is also an opportunity to meet the Avengers inside Marvel Super Hero Island. 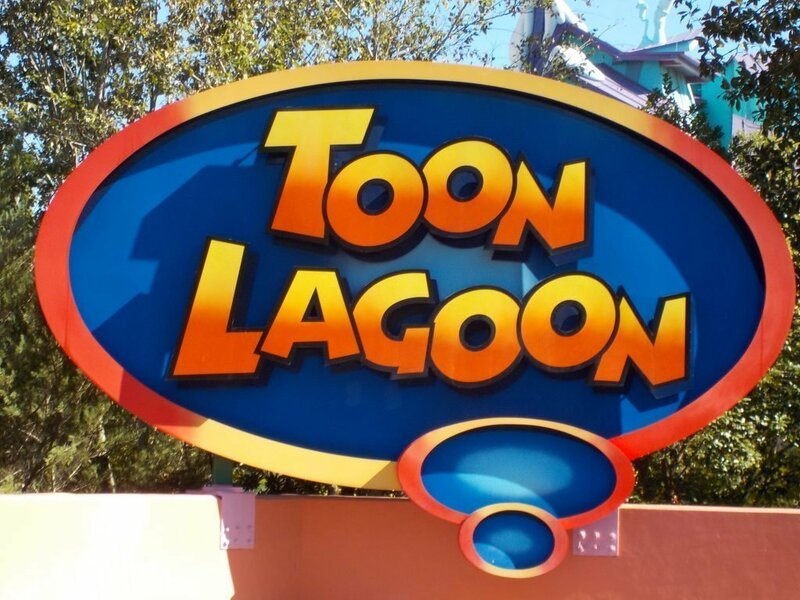 Toon Lagoon provides an opportunity to get very wet with some of the wettest water rides you will find anywhere. Dudley Do-Right’s Ripsaw Falls is a fun flume ride. The final drop is very fast. Popeye & Bluto’s Bilge-Rat Barges perhaps the best & wettest barge ride you will ever experience. Do not expect to get off this ride dry; you will be soaked! 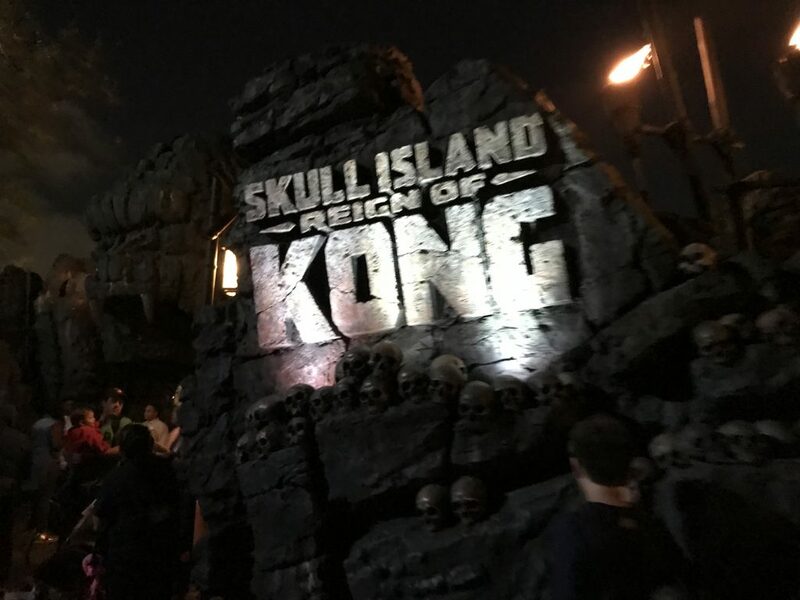 Skull Island: Reign of Kong riding a safari truck you have a 4D Kong Encounter. Many small children will find this attraction scary. Jurassic Park River Adventure an entertaining boat ride with some great audio-animatronics followed by an 85-foot drop. You will probably not get as wet as you will in Toon Lagoon, but it isn’t guaranteed. Pteranodon Flyers only those who are between 36 and 56 inches (91 and 140 cm) or those with a child of that height may ride this scenic attraction. 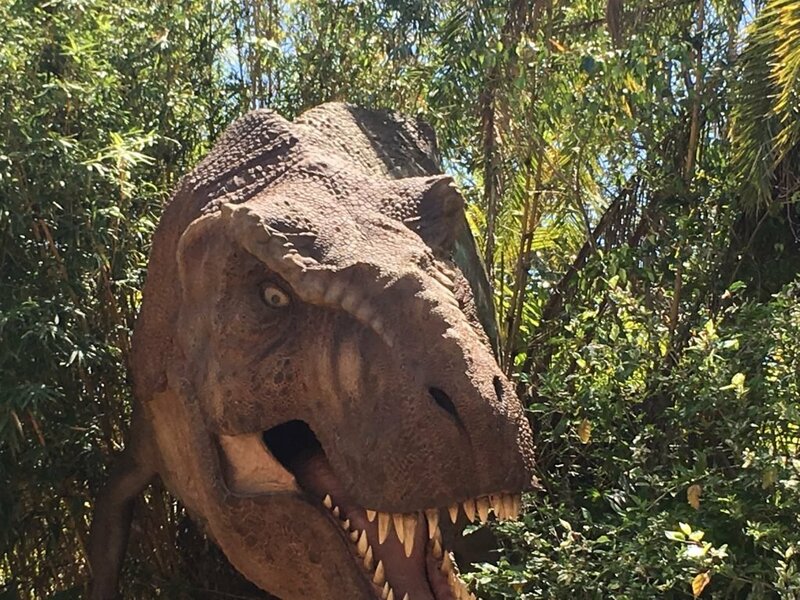 Raptor Encounter is a rather scary encounter with Blue. A new Jurassic World coaster has recently started being constructed in this area. Rumoured to be a high thrill coaster with an anticipated 2020 opening. We think it sounds fantastic fun and can’t wait! Not much of this land now remains and it is now the least interesting area of the park. 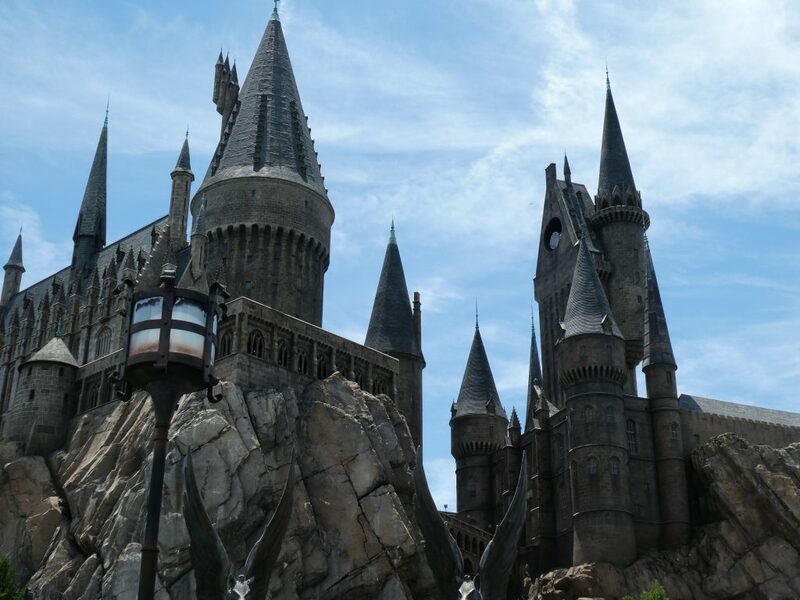 A significant part of the island was removed for the construction of the Wizarding World of Harry Potter. The Eighth Voyage of Sinbad closed in September 2018 to further reduce the options available. The Mystic Fountain remains the highlight of this otherwise pointless island. While there have been no announcements, expect The Lost Continent to be redeveloped soon. Poseidon’s Fury is the only remaining genuine attraction. However, it is possibly the worse attraction in Universal Orlando & you should keep away! 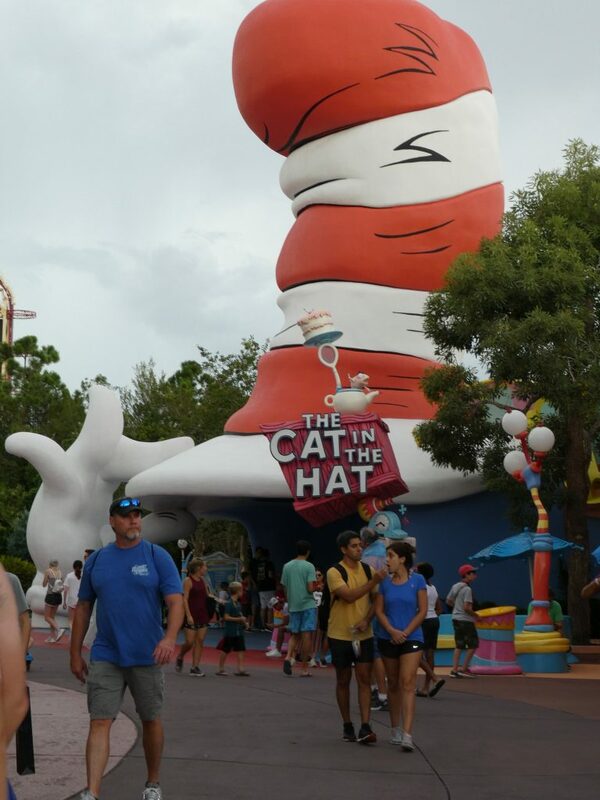 Seuss Landing is the one area at Islands of Adventure where small children will find plenty of attractions to enjoy. 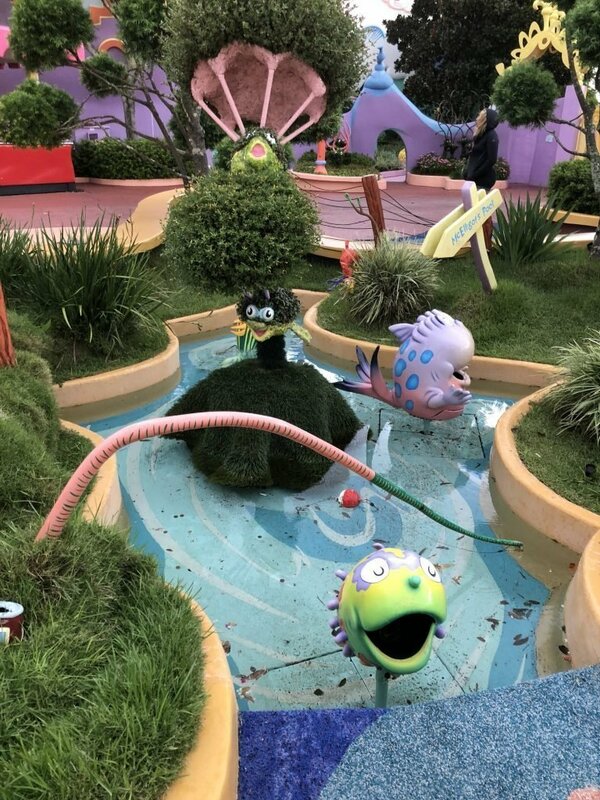 All attractions are based on the world created by Dr Seuss. Universal Orlando has not reached the same level as Walt Disney World for dining options. While the quality of food has improved in recent years it is still some distance behind Walt Disney World. Dining options are, in our opinion, better value than at Walt Disney World. 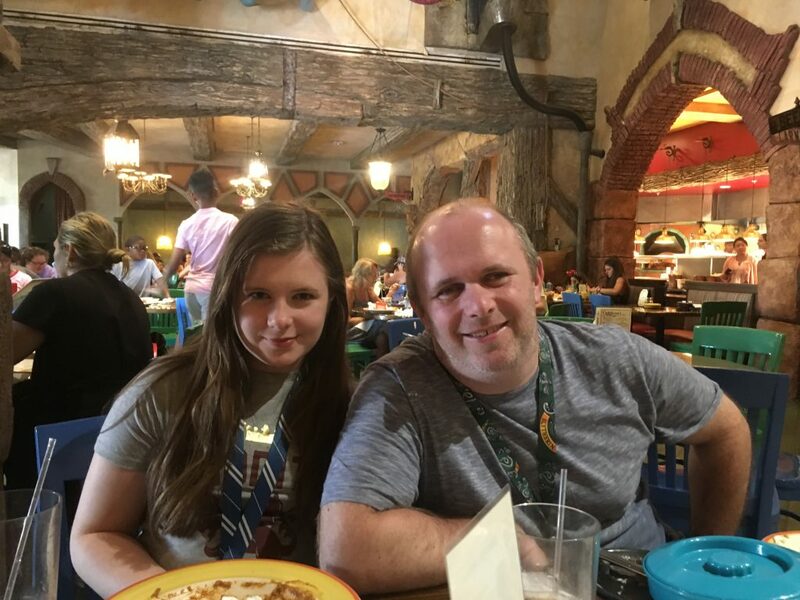 Islands of Adventure does offer a selection of dining plans but we do not feel they represent good value for money. Islands of Adventure only has 2 table service options, both of which are bookable through the park’s website. While walk-up tables can be available we strongly recommend booking in advance. Reservations can usually be secured on the morning of your visit, but planning in advance is recommended. Serving a selection of Mediterranean and Asian dishes, this table service venue is excellent value for money. It isn’t fine dining but the food is very good. Entrees are even cheaper than at some of the quick service locations. The Fajitas are excellent and Mrs Modernlifeisgood recommends the Pad Thai. Mythos serves a mix of Mediterranean, Asian and American fare. Previously the restaurant was award winning, but the food is more casual these days. The restaurant is good value for money and serves much better food than the Quick service locations. In addition to the two full-service restaurants, there is a choice of casual dining locations. Options are not as great as Walt Disney World, but the quality is usually reasonable. Prices in our opinion are too high in some of the locations, especially The Wizzarding World of Harry Potter. There are numerous character opportunities at Islands of Adventure. Many of the character opportunities are unique to Islands of Adventure. The majority of meet and greets are scheduled with details available on park maps. However, unscheduled meet and greet might happen throughout your day. 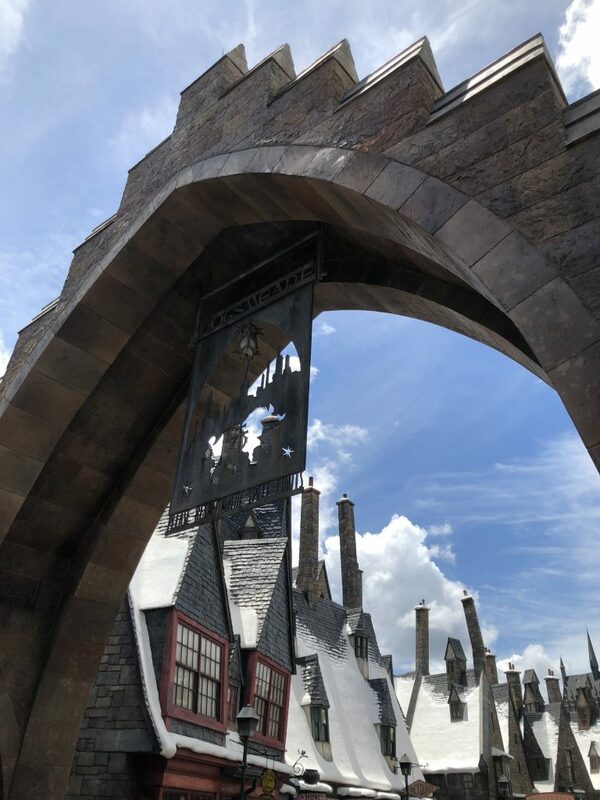 Various charcters in the Wizarding World of Harry Potter, but not the stars! Perhaps one of the most unique character opportunities is the Raptor Encounter in Jurassic Park. Guests have the opportunity to meet and have their photo taken with an intimidating velociraptor. 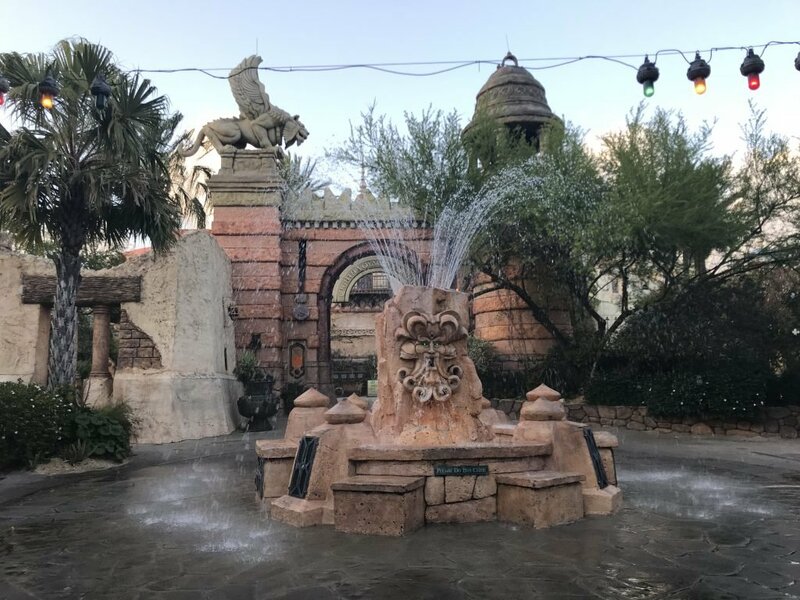 While I’m not sure it counts as a character meet & greet, the Mystic Fountain is tremendous fun. The majority of characters at Islands of Adventure will sign autographs. Waiting times tend to be shorter compared to Walt Disney World, although Spiderman does get very long waits. 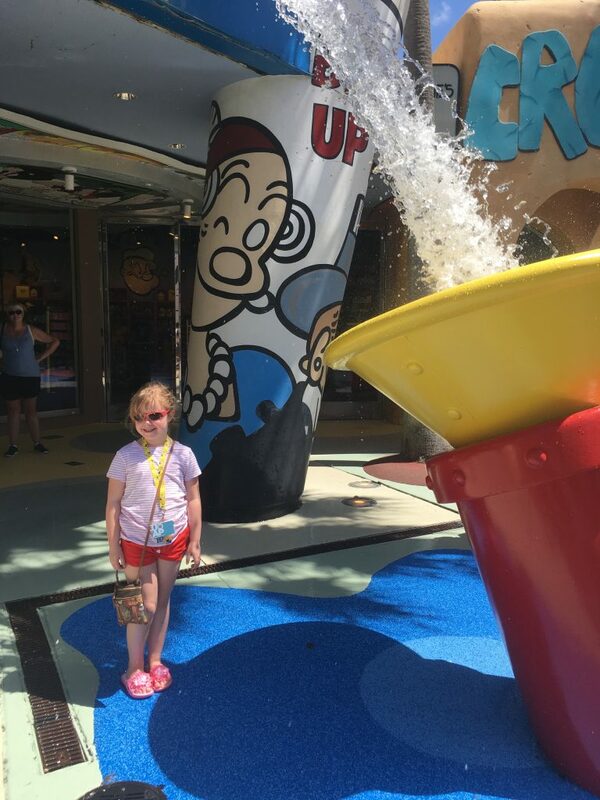 Our Guide to Universal Orlando Resort has information on all the attractions available at Universal Orlando. We have useful information and tips & tricks to plan your vacation.